Can anyone watch this video and not be affected in some way by arguably the best rendition of God Bless America ever sung? I remember watching Ronan Tynan sing this at Yankee Stadium not that long after 9/11 and getting the chills or goosebumps (depending where you’re from), the likes of which I had never experienced before. Baseball had created a diversion from the devastation following September 11th. The seventh inning stretch was a time for chants of “USA! USA! 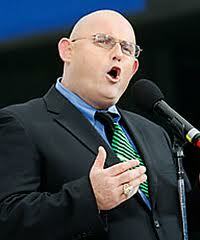 USA!, and by singing along with Ronan Tynan, and for embraces among many of the fans in the stands. It was a time when President Bush, asked to throw out the first pitch at Yankee Stadium, was told by Derek Jeter to… ‘be sure you reach home plate or otherwise you’ll be booed.” The President threw 10 practice pitches and then before game time nailed a gem to Jorge Posada. Commissioner Bud Selig said, “…we wanted to be not only sensitive, but we wanted to play our little part in the recovery process. It was a painful time, an emotional time, but we did fulfill that roll.” The parking lot at Shea Stadium was used for the distribution and staging of relief supplies. Many ball players volunteered their support and time by visiting with families of victims. Some, like Yankee Paul O’Neill, went above and beyond what was asked of him when, instead of meeting with a few of the victims’ families for 30 minutes, O’Neill spent over 10 hours talking and taking pictures with all of them. 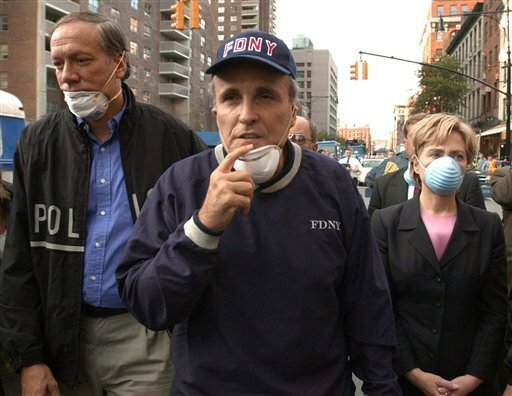 Even Mayor Rudy Giuliani did his part, through baseball, to lend his support. He went to the first game played 10 days after the 9/11 attacks at Shea stadium; Mets vs the Braves. An ardent Yankees fan, he was seen applauding just behind home plate. Giuliani received a rousing reception from the fans and just two days later, on September 23rd, the term “America’s Mayor” was coined for him by Oprah Winfrey at a 9/11 memorial service. Relief and healing also came from other sports like the NFL where, the first week of games following the 9/11 attacks, featured the Jacksonville Jaguars vs the Tennessee Titans on September 23, 2001; another diversion which helped in the healing process. The Jags defeated the Titans 13-6 and Fred Taylor experienced his most significant injury of his career. However, baseball, after all, has always lead the way in trying to provide a sense of normalcy and routine following any of our nation’s disasters. Case in point, on January 15, 1942, just five weeks following the attacks on Pearl Harbor, Predident Franklin D. Roosevelt penned the famous “Green Light” letter to then Commissioner Landis. 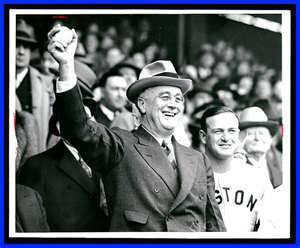 The letter went on to say, …”I honestly feel that it would be best for the country to keep baseball going.” And it did-in the Spring of ’42…. 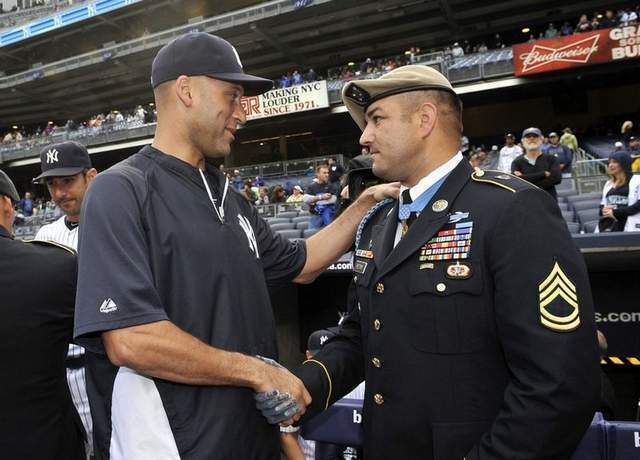 There will be ceremonies throughout the country tomorrow and next week, but there will be no more meaningful or ‘symbolic’ place in all of sports- to honor those heroes and victims of that fateful day- than at Yankee Stadium.